Home Blog What Is Germany’s Attitude Towards Religion? Before you begin working your way to foreign language fluency, it helps to understand the culture behind the language you’re learning. After all, language exists to help a group of people express their ideas and beliefs. Germany is an old country with a rich history and culture. As you begin your German language program, gaining a strong grasp on this history, the values, and the etiquette will help you rapidly achieve success. In particular, learn about the role of religion and spirituality in Germany through the ages from its protestant roots its current attitude towards religion. 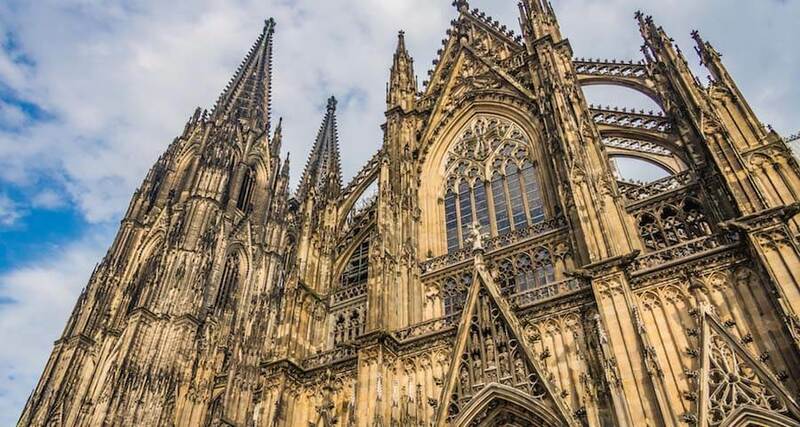 Although Germany doesn’t have an official state religion, nearly two-thirds of Germans are Christian, with the types of Christians being split between Protestants and Catholics.. The foundation of Christianity in Germany is old and strong. Christianity was forced onto Germans when Charlemagne became Holy Roman Emperor in 800 CE and was strengthened by the German states’ close ties to Rome. Germany was the place of residence to the Teutonic Knights, one of the most well-known Christian military orders; they crusaded all through the Baltic regions to convert the pagans. They were very successful and knights from all parts of Europe traveled to Germany to campaign with them. They were dissolved in 1525 when their leader converted to Protestantism. The people of Germany are on average, as devout as other Europeans. Germany however, does provide subsidies to the Church for chosen charitable services. This is accomplished through a mandatory church tax (“Kirchensteuer”) of 8 percent of the income for religious communities/church attendees in Bavaria and Baden-Würtemberg and 9 percent in other places. So however much you may state as income on a form that asks for your religion, even though you may not attend church, you might be liable for taxation. The Protestant Reformation of 1517 was initiated by Martin Luther, by way of expressing his disapproval of the gluttony of the Catholic Church; he posted it onto the door of a church in Wittenberg, now Lutherstadt Wittenberg. War ensued between the Holy Roman Emperor and a number of Protestant states, concluding with Germany’s southern states declaring their loyalty to Rome. Since this time, Germany has remained mostly Catholic. The authority that was held by the Holy Roman Emperor was not only religious, but secular as well. The advantages of the church had to be guarded and protected in every way. At the time of the war between the Holy Roman Emperor and the Protestant states, the “Thirty Years War,” the right or claim of the church was not elective and was inherited by the Habsburgs. Consequently, the Empire consisted of Austria and the Habsburg areas of Hungary, Bohemia, and southeastern Europe, until its dissolution in 1806. The quasi-mystical significance of the Holy Roman Empire lay in its linking of the Roman Empire of antiquity, the Catholic faith, and allegiance to the Pope in Rome. For most of Germany, in contrast to Austria, its power became valueless from the sixteenth century onward.